Welcome to the Website of Church Women United Southern California and Southern Nevada. Celebrate !!! Church Women United is a national ecumenical movement of Christian women witnessing to unity and faith in Jesus Christ through worship, study, action and celebration. 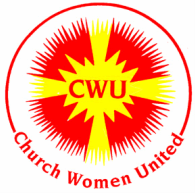 CWU represents over 25 million Protestant, Roman Catholic, Orthodox and other Christian women. Participation in CWU is open to all Christian women who believe in the purpose of CWU and support the movement. Our Church Women United in Southern California – Southern Nevada state unit organization is managed by an Executive Board. The general administration is vested in the Executive Board which has the power, authority and responsibility for the life and mission of the region.